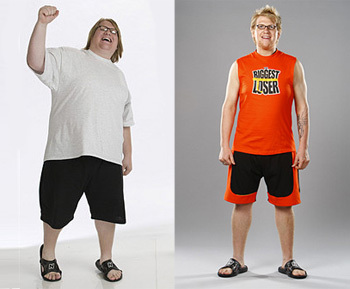 Dan Evans From The Biggest Loser – Hey U.G.L.Y. Dan Evans helps students understand the importance of loving and respecting themselves in order to break free from self-defeating behaviors like smoking, drinking and drugs. He also makes it clear that behaviors like drama, victimhood, anger and most importantly self-bullying all stem from a lack of self-worth. Dan grew up captivated by a love of music and a dream of sharing it with any available audience. He spent his teenage years honing his skills on the guitar and piano, and later, welcomed the challenge of writing and performing his own songs. But even as his popularity increased with young audiences in the Chicago area, a single shadow loomed over his aspirations — his constant battle with obesity and self-esteem. At age 21, his lifelong battle with the scale and his own insecurities came to a screeching halt in 2008 when Dan and his mother, Jackie, were chosen to become contestants on season five of NBC’s hit reality television show, The Biggest Loser. Dan Evans quickly became a household name amongst the show’s 18 million viewers. He lost 136 pounds and, subsequently, found the doors to his childhood dreams flung wide open. He shares this story along with his inspiring songs in our interactive assembly presentation. His song LETTER TO MY ADDICTION is a powerful anthem to the joys of overcoming obstacles. The title song from his GOIN’ ALL OUT CD tells the story of never giving up on your dream no matter who is telling you that you’ll never make it. “After the presentation I was so nice to people and because of that it changed my mind.